The two companies announced a new partnership. 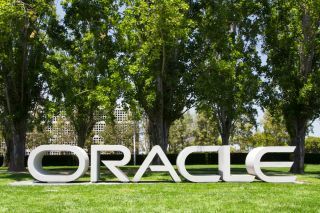 Oracle’s databases, middleware and developer tools are now available in the Docker Store marketplace, thanks to a new partnership between the two companies, announced yesterday. Available via the Docker Certification Program, the tools allow developers to quickly build cloud-native applications using Docker Enterprise Edition as their container platform. The Certification Program is a framework, allowing partners to integrate and certify their technology to the Docker EE platform. The new offering is effective immediately. It allows developers to pull images of Oracle products in Docker and start testing and deploying, enterprise apps, fast. The solutions included in the partnership are Oracle Database, Oracle MySQL, Oracle Java 8 SE Runtime Environment, Oracle WebLogic Server, Oracle Coherence and Oracle Instant Client. “Docker is revolutionizing the way developers build and deploy modern applications, but mission-critical systems in the enterprise have been a holdout until now,” said Mark Cavage, Vice President of Software Development at Oracle. “Together with Docker, Oracle is bringing bedrock software to millions of developers enabling them to create enterprise-grade solutions that meet stringent security, performance and resiliency SLAs with the high level of productivity and low friction that they have come to expect from Dockerizing their application development stack."